Home » Annetarsia Knits » Inspiration, and accomplishment. Not bad, for a weekend. Inspiration, and accomplishment. Not bad, for a weekend. I don’t really wear mittens, and I have tons of experience knitting cables. So the only excuse I have for taking this class is that I adore Fiona, and have never had the chance to take a class from her. The chance to see her teach something that she is so passionate about was irresistible, so I went for it. The class is a great introduction to cable knitting, and I recommend it to anyone nervous about using a cable needle. But I skipped a lot of this, because I got over my fear of cables long ago, and don’t even use cable needles (I hold the stitches with my fingers while moving them around to get them in the proper knitting order). However, the whole class was worth it for the section where she pulls out swatches to show the possibilities with cable design. Using the simple techniques taught in class, limitless cabled patterns can be made. This is a great point, but after you get it, re-watch the lesson and just check out the swatches. This is like being invited into Fiona’s studio and getting a private peek at her brilliance. I was seriously blown away by the amazing, stunning swatches. Casually, she pulls over one large, gorgeous display of knitting after another. Each displayed a full collar/neck treatment, and some with embellishments. Fiona doesn’t make a big deal about it, she is just showing us the cable patterns. 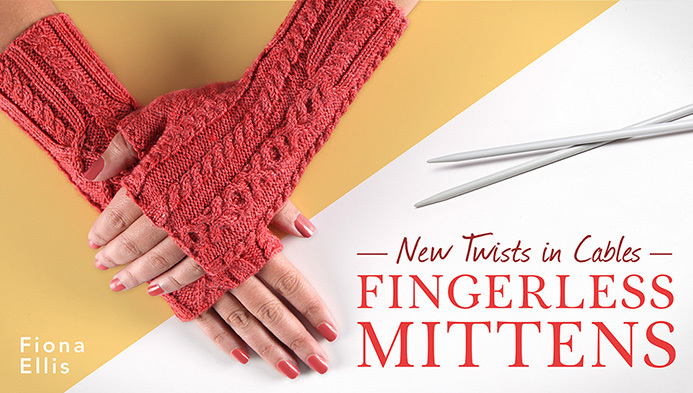 But every knitter who wonders how designers come up with their ideas needs to take notice. Designers do the work, people. They swatch and swatch, and swatch some more. If you really want to learn something, just watch this section over and over, and plan to do some swatching of your own. This is how creativity happens – you need to love playing with the yarn and the knitting. As Fiona says, ask yourself “what would happen if”? If all of us spent some time swatching and playing with yarn, consider how many new things we would discover! Everyone needs to take this class – if only to see that swatch display. Get it here. Now! 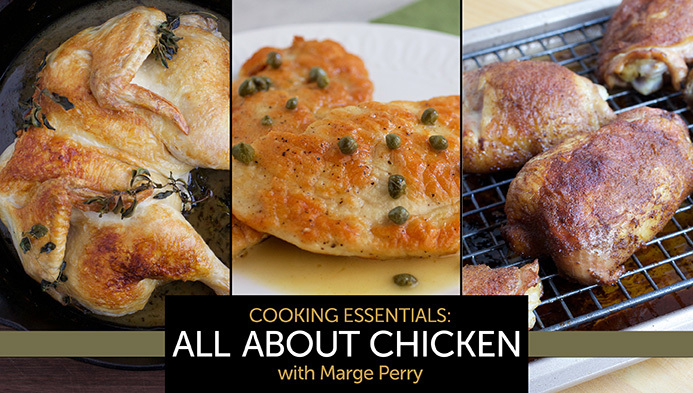 After my workout, filled with inspiration by Fiona, I was ready to practice what I learned in Marge Perry’s class “Cooking essentials: All About Chicken” . I made Chicken Piccata for dinner, and it came out really well. 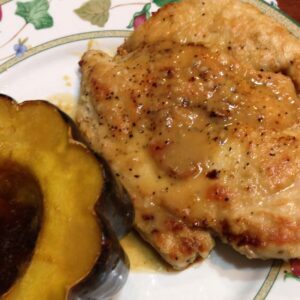 I was asked by the family if this was my “semi-annual hot meal” (yeah, I don’t do much of the cooking), but it was delicious and easy. I used the meat thermometer, did the sauce just like the class, and it only took about 20 min. from start to finish. I’ll definitely make it again. Something else to share with you is that I have been working on several patterns – some of them Annetarsia, and a few others that connect with the Craftsy class that I filmed recently, which should launch in November. A few of them are almost ready to publish, and I will be putting them in my Ravelry store sometime this week. I am very excited to share one particular pattern with you. 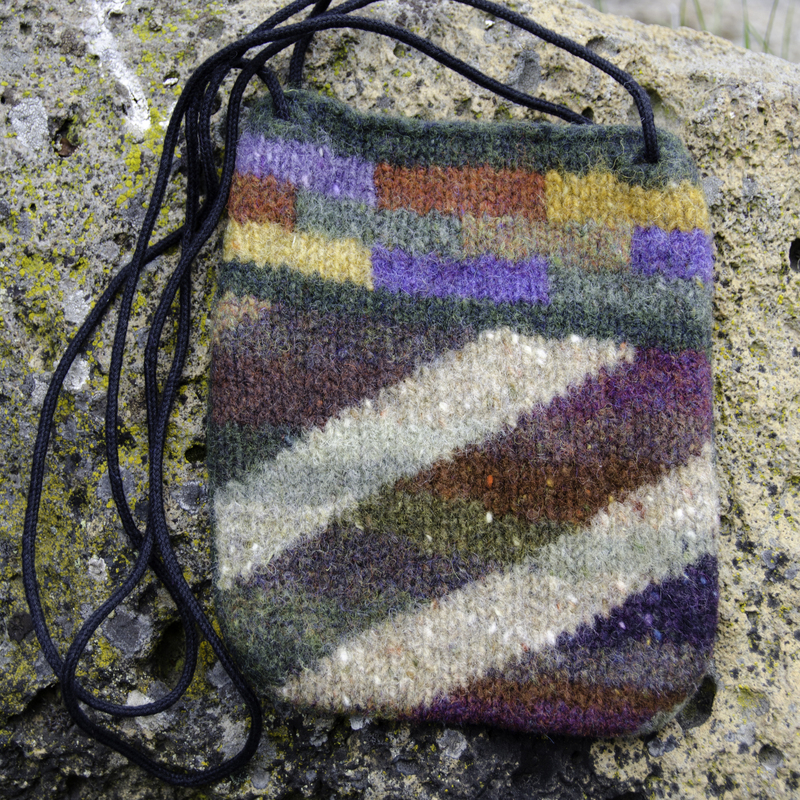 Nancy Powell-Thompson designed a ColorPlay bag for the color design section of Annetarsia Knits. The pattern itself was cut, for space. 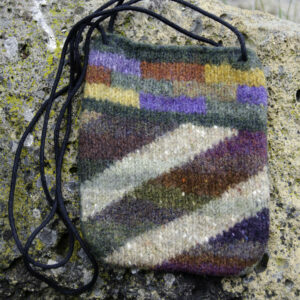 However, I took a few of Nancy’s bags to Stitches East, and there was a LOT of interest in having the pattern. Nancy and I are going to make it available, and donating the proceeds to Doctors without Borders. I’ll be posting more about this in the next few days, so watch for that.